The flagship of the Sint Bernardus beers brewed since 1946. This 10% Quadrupel drinks easily thanks to it's smooth taste and fruity aroma. 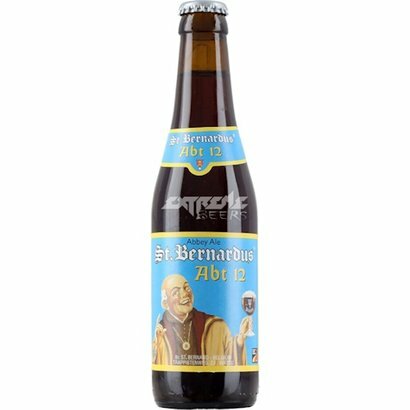 St. Bernardus Abt 12 The flagship of the Sint Bernardus beers. It is a 10% Quadrupel that drinks easily thanks to it's smooth taste and fruity aroma. This delicious beer has been brewed since 1946! 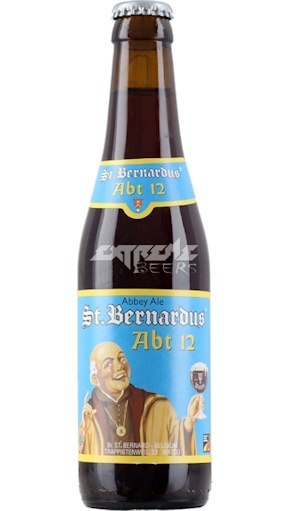 The St. Bernardus Abt 12 is often compared to the Westvleteren 12 of the Sint-Sixtus Abbey in Westvleteren.